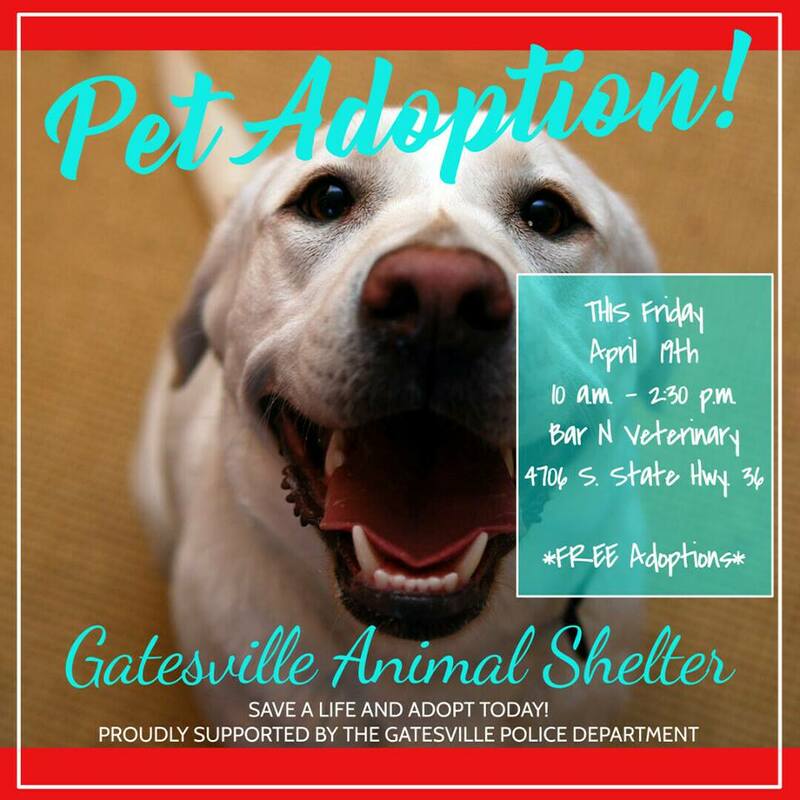 Gatesville Animal Shelter Adoption Event – Part II! Our adoption event was rained out this past Saturday, so come by this Friday, April 19th at Bar N Veterinary Clinic from 10 a.m. to 2:30 p.m.to adopt your new friend! Every dog that is adopted from this event will get a FREE Rabies and Distemper/Parvo vaccination and receive 50% OFF spay and/or neuter surgery for their adopted dog at Bar N Veterinary Clinic with proof of adoption! We will be located on the side of the clinic, under the awning! See y’all there!